Are you, or someone you know, an Alumni Member of the Patrol? Click here to sign up for our Alumni Members form! There are approximately 60 active individuals on the Patrol roster including youth regular members and officers, adults who serve on the corporate Board of Directors and oversee operations, and additional adults who have “graduated” from the Patrol but have stayed involved in the program to contribute their expertise. Six team Sergeants, two command staff Lieutenants, and one command staff Captain are in charge of daily Patrol operations. They work closely with an adult team of Division Chiefs, a Deputy Chief and a Chief, but the command in the field is with the youth! Primarily a search and rescue organization, the Arapahoe Rescue Patrol trains extensively in many areas of field emergency service including rock, and high-angle technical rescue, vertical forest/low-angle evacuation, winter and alpine operations, avalanche rescue, wilderness life support and emergency care and situation management functions. The team also supports local fire departments and law enforcement agencies by providing scene security details, perimeter control, traffic management, operational help (controlling hose lines, changing air bottles, etc. ), evidence searching, and other non-hazardous services. 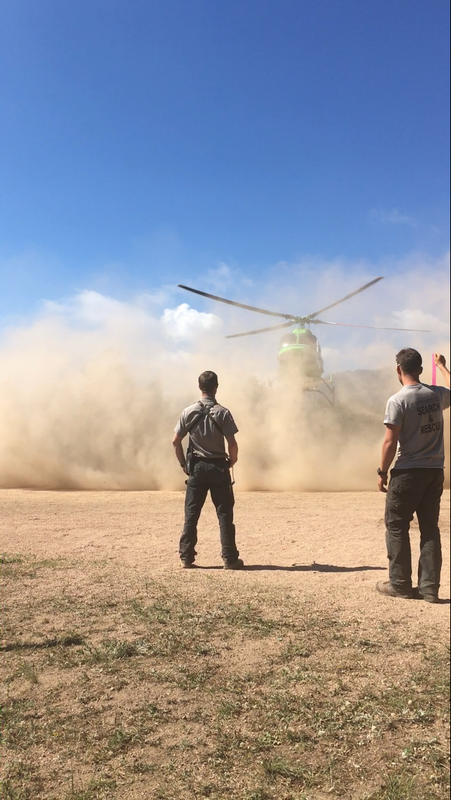 Members frequently ride with Arapahoe County Sheriff’s Office deputies, Littleton Police Department officers, and Littleton Fire Rescue personnel to assist with their daily operations. ARP mountain bike teams patrol area greenbelts and the Highline Canal Trail during warmer weather to assist local law enforcement agencies by providing information, emergency care, and general presence. The Arapahoe Rescue Patrol is the designated light-duty rescue agency for the City of Littleton. All funding is provided by private donors. Training is rigorous. Each new member spends over one hundred hours in basic training, including 24 hours of classroom and two 48 hour weekend training sessions in field search and rescue skills. This is then followed by a 6-month probationary period, where additional training is made available in emergency care (an EMT-B level course), wilderness survival, map and compass, technical rock rescue, radio communications, field evacuation, mass casualty training, evidence searching, winter operations, aircraft crash rescue, and much more. Field training exercises are conducted regularly (at least once per month), and the team members take great pride in honing their remarkable suite of skills.